The past decade (2008-2018) has seen an explosion of global interest in South African popular music — specifically popular black dance music — produced during the late stages of Apartheid (1970s through early 1990s). 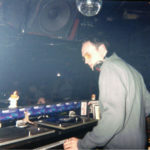 Amid the ongoing frenzy of authorized label re-issues, compilations, remixes, online auctions, unauthorized digital file sharing, and DJ festivals, something has gone missing: context. 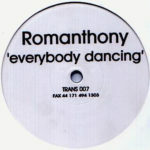 The rush to find, rediscover, and re-release rare South African dance music seems to have caused us to overlook the direct influence of Western dance music on South African disco. 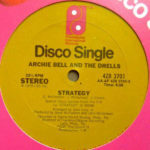 This is a connection worth exploring, especially since American disco contained a subversive political subtext that was not too dissimilar from South African disco. In both cases, what the mainstream could dismiss as “party music” had to also provide cover for political, cultural, and social aspirations. South African party records were in many ways acts of political subversion that used upbeat themes to quietly advocate for unity among tribes, civil rights, urbanization, greater social consciousness, and economic empowerment. 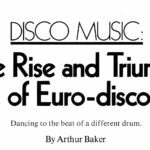 Western disco, mis-characterized at the time as artificial, superficial, or just plain fluff — was actually driven in large part by its own social and political ideals — for racial integration, gay rights, religious diversity, and gender equality. Thanks to the glory of YouTube and Discogs, we now know that American and European dance records were being heard, reinterpreted and directly sampled by South African producers and artists at the time of their release. This was an impressive feat given the strictness of SABC cultural censors who controlled everything that got in and out of the country. At the time of the music’s original release date, most listeners would have had no way of knowing that these songs were sampling others — nor could anyone blame them for not knowing this. South Africa was a cultural island unto itself due to the embargoes in place during Apartheid. It’s a little odd that a number of re-issues have come out that have failed to credit the original sources, despite the fact that the labels repressing these tracks are all from the US or Europe. It is my sincere belief that we should celebrate all of the artists, sing their praises, and try to appreciate the full, complicated lineage of this amazing music. It’s the least we could do as we enjoy the pop music of South Africa once again, or for the first time. Here’s a fun one to kick off with. Kumasi was a briefly lived afro-rock offshoot of Stimela, and was led by Paul Ndlovu, the godfather of Tsonga disco. 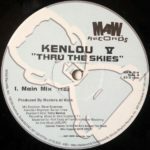 The original 12″ single of “Anomakoliwa” was released on the South African label Kongas, and misspelled the band name as “Kumani.” The American reissue label Smiling C is releasing the only Kumasi album as a double 12″ in the coming months. There’s no word yet on whether the re-issue will credit Michael De Benedictus and Larry Levan, who wrote the original Paradise Garage classic, “Don’t Make Me Wait” for the NYC Peech Boys, who Levan called “the sound of young New York” back in the early 80’s. Next we have a riddle within a riddle courtesy of The Bees. Here, they do a funky, Chic style guitar take on Italo-house duo Black Box’s controversial hit, “Ride on Time.” Why the controversy? Well, as the story goes, Black Box originally released the song without properly crediting Loleatta Holloway’s disco classic “Love Sensation” on Salsoul Records. So it would appear that a South African group covers an Italian dance track that illegally sampled an American disco classic from 1980, mixed by the legendary Tom Moulton. It’s sort of a cliché to say that Kwaito began as house music that was simply slowed down closer to 100-110 beats per minute. Yet, that’s pretty much exactly what happened here on the Professor Rhythm (also sometimes spelled “Rhythem”) track “Leave Me Alone.” The iconic sound of the Korg M1 organ synth is the driving force in both tracks, just slowed down a bit as a Professor Rhythm sample. Professor Rhythm’s album “Bafana Bafana” recently had a re-release on Awesome Tapes from Africa, without crediting Robin S or Stonebridge. 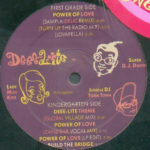 Legendary South African producer Sello “Chicco” Twala produced this Inception-style sample within a sample situation for his first incarnation of Chimora. The pulsating house rhythm changes the lyrics but keeps the exact style of John “Jellybean” Benitez’ freestyle house hit, “Jingo.” Of course, Jellybean was sure to credit the originator of his track — Nigerian percussion legend Babatunde Olatunji. Olatunji’s “Drums of Passion” record from 1960 was an original disco sensation at David Mancuso’s Loft parties, and later became a club hit when it was re-worked by Candido for Salsoul Records in 1979. The South African release of Ricotamba offers no credit to either Olatunji or Benitez. It’s a West African sample, brought over to America, and then repackaged once more in South Africa. This one is a bit different. South Africa’s biggest pop star, Brenda Fassie — affectionately nicknamed MaBrrr and referred to by journalists as “The Madonna of the Townships” — produced this 1991 smash single and super cute music video for “Ngiyakusaba” (translation: I’m scared of you). 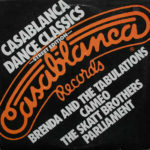 Unlike many of her compatriots, her release actually credits the three American house producers who penned the crossover house hit “Got A Love For You” by Jomanda, featuring remixes from Steve “Silk” Hurley. I’m not sure why Hurley isn’t credited as well, but we do know from Max Mojapelo’s book that Hurley’s productions were very influential in the development of the Mapantsula sound.